The founder of Evolution Skin & Beauty Clinic is Elizabeth McConnell. She graduated from Lancaster University and is a registered nurse with over 30 years of experience in healthcare. Elizabeth has worked in various hospitals and healthcare institutions across the UK. Elizabeth has been helping her clients gain confidence by providing various skin treatments and body sculpting treatments. 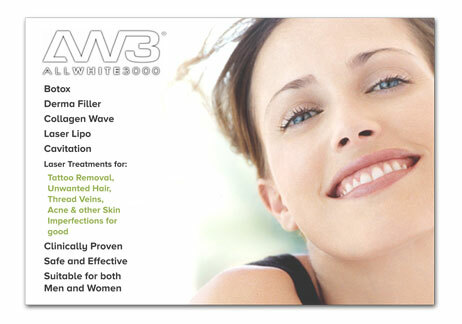 All the treatments are carried out by fully qualified and trained staff at her Clinic in Glasgow and Kilmarnock. At Evolution Skin & Beauty Clinic, we have an extensive range of treatments to help you look your best. When you visit us, you will be given honest advice and the most suitable treatment tailored to your needs. At Evolution Skin & Beauty Clinic, we use a variety of procedures to improve the appearance of fine lines and wrinkles, soften fine lines, remove visible veins, tighten skin and eliminate unwanted hair. These procedures are safe, involve minimal discomfort and require very little downtime. Our aesthetic practitioners are certified and trained to use the latest lasers and techniques in laser treatment and IPL technology. We also offer various other skin treatments, click here to read more. "Recently went to the clinic with blackheads and pores being an issue, I got a carbon facial and haven't looked back! Elizabeth was very professional and the fact she is a highly trained nurse put me at ease with the lasers! Clinic has loads to offer and would definitely recommend, really central location as well. Thanks again elizabeth :) x"
"After a recommendation I went to Evolution skin to have deep facial scarring treated with a combination of Laser Therapies. With every treatment the results have been AMAZING. I no longer have to apply heavy make~up to leave the house. For the first time in over 20 years I feel confident in my appearance. Thanks to Elizabeth the wonderful nurse that carried out these treatments. See you very soon." "I've almost completed a course of treatment for unsightly cellulite on my legs and cannot believe the difference. I fully recommend cavitation and non surgical Lipo to anyone and wish I had done it years ago. Why is this treatment a well kept secret???? Go visit Elizabeth - she's works wonders!" "I attended clinic for my second session of this treatment. I am amazed at the results so far. After the first treatment I had very little hair re growth (I didn't need to shave my underarms until the day of second treatment, 4 weeks... I normally would need to do this on a weekly basis). As with first treatment the procedure was yet again pain free. I have now had 3 facial rejuvenation treatments and my skin has greatly improved. I recommend you visit soon for first class treatment & service." "I have attended Evolution Skin and Beauty Clinic twice now and have received treatment for hair reduction on my legs, I have only had 1 treatment for this but the results are amazing already and so much easier than waxing, and pain free also. I was so impressed I treated myself to laser lipo and cavitation, loosing 2cm on my first treatment - Amazing and Thank you, I am looking forward to my follow-up treatments." 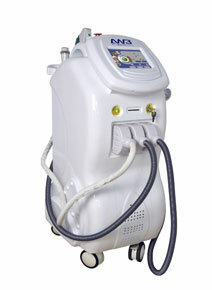 "With state of the art equipment I have just had under arm laser hair removal. All done in a professional,friendly and spotlessly clean environment. Highly recommended. Be back soon. Thanks again." "Highly impressive treatment with a very clear marked difference following only two sessions. Felt totally confident in the professional qualified nurse who performed the procedure. Will definitely return for more treatments. Highly recommended!"